What Is Collective Action in Philanthropy? And Why You Need to Care. By joining forces in a coordinated effort, grantmakers, grantees, communities, and other stakeholders passionate about similar issues have the potential to create meaningful and lasting impact. This kind of collective action approach has the potential to address the most pressing and complex societal challenges of our time. But what exactly is collective action? And why should you care? First: the why. Sometimes funding happens in a vacuum, with one grantmaker unaware of another’s work, despite their identical goals. This creates a firewall against dealing with complex problems that require multiple services or that should be addressed from multiple channels. Adding to this concern is that limited-year funding makes it difficult to truly address persistent and ongoing problems. Funders working together can coordinate sustainable giving. But what makes collective action, collective action? What are the unifying principles that make it a potent force for change? Here is a – by no means exhaustive – list that begins to define it. What would you add? They share a common vision or agenda. Like a story with a beginning, middle, and end, a coordinated philanthropic vision is critical in collective action. Communities are best positioned to deeply and intimately understand issues contextually; thus, they should be tapped to determine the current and historical value of the issue, who the key players are, who should be involved, what has happened prior to collective action, what worked (and didn’t work) in the past, which groups were involved before, which groups should have been involved, and other considerations. They agree upon the philanthropic framework. Every entity in the collective action model must support the details of change, including the agreed-upon metrics indicating progress and success. This type of support is essential; otherwise, a meaningful, appropriate implementation buoyed by clear identification of and access to necessary data is impossible. They want to coordinate their activities. Coordination moves beyond identifying how services and funding should be coordinated and falls into the bucket of carrying out the coordination. It helps ensure the project remains sustainable over time. Bringing together multiple entities for true cross-sectional collaboration requires trust to squash uncertainty and ensure efficiency. They have a backbone or intermediary support. 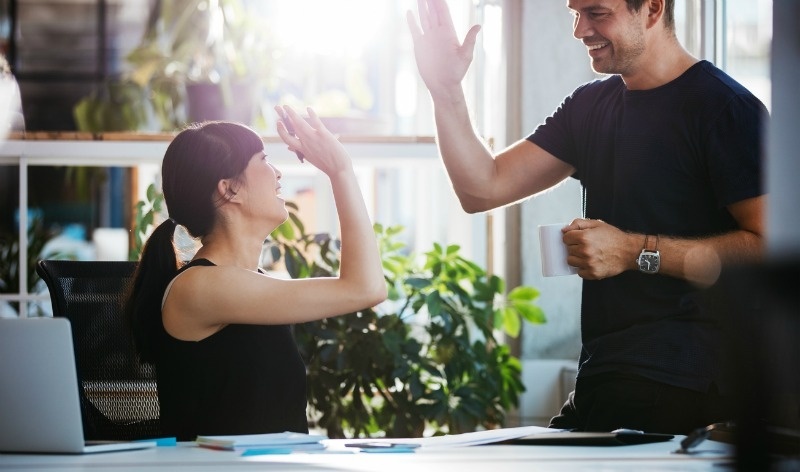 An intermediary, whether an existing organization or brought in for the specific collective action, plays an integral role in the collective action model, helping all players achieve effective relationships and functions. Its backbone functions typically include guiding the vision and strategy, aligning objectives, establishing shared measurement practices, constructing the public will, handling policy advancement, and mobilizing funding. By linking arms through collective action we have the potential to transform singular philanthropic objectives into enduring movements. By pooling resources, coordinating services, and collaborating around goals and sustainability, philanthropic organizations can begin to see the needle move on what we care about most. 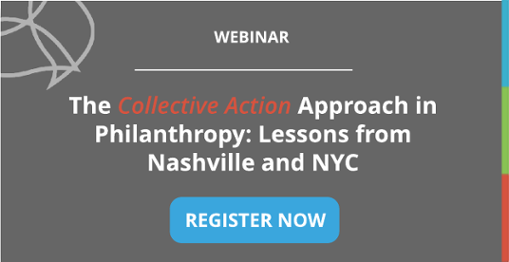 For a deeper dive into collective action, join us for our upcoming webinar: The Collective Action Approach in Philanthropy: Lessons from Nashville and New York City.